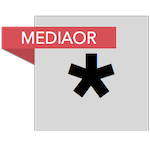 Over the years we have closely followed various reports on Internet traffic changes, specifically in relation to BitTorrent. Many of these came from the Canadian broadband management company Sandvine, which often focused on the popularity of different types of traffic in specific regions. That was also the case a few weeks ago when its latest report revealed which sources generate most upload and download traffic in various regions of the world. This revealed that BitTorrent is far from dead. What it didn’t reveal, however, is which traffic sources consume the most traffic worldwide when both upstream and downstream traffic are combined. This broad overview was missing from earlier reports as well, but in a new update Sandvine now fills this gap. When all traffic from sources worldwide is combined, Netflix comes out as the clear winner with 13.75% of the total traffic share. The streaming giant is followed by HTTPS Media data (12.25%) and YouTube (10.51%) respectively. BitTorrent comes in fifth place with 4.10% of all Internet traffic globally, which is mostly driven by the EMEA (Europe, the Middle East and Africa) and APAC (Asia-Pacific) regions. “As expected, the top four applications are all video, and also not surprisingly, BitTorrent is fifth overall – strongly boosted by the utter dominance on the upstream in EMEA and APAC,” Sandvine’s Cam Cullen notes. Looking at the upstream and downstream totals in various regions, we see that Netflix accounts for nearly 17% of all traffic from the Americas. Interestingly, BitTorrent doesn’t make it into the top 10, sitting well below 2%. 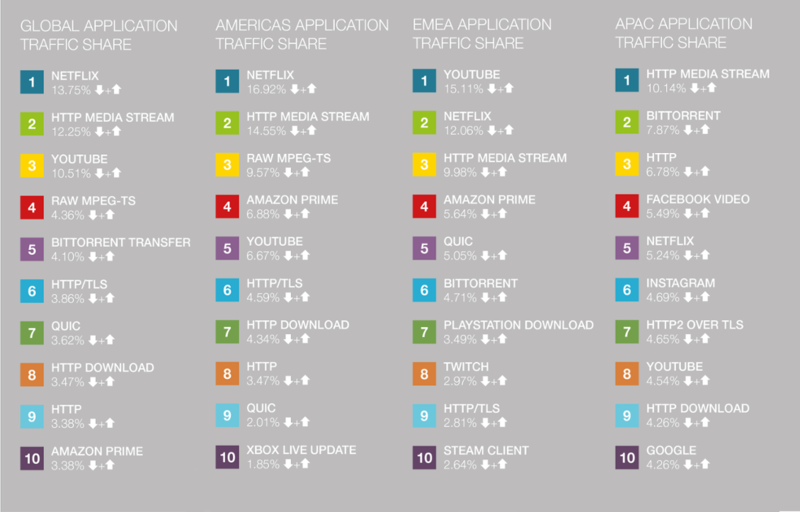 BitTorrent traffic is most popular in the APAC region where it sits in second place with 7.87%, generating more traffic than both Netflix and YouTube. It’s interesting to see the bigger picture, where both upload and download traffic is combined on both fixed and mobile connections. This offers a unique snapshot of Internet traffic sources in 2018. Hopefully, Sandvine will continue to make these data available going forward, so we can track changes over time.